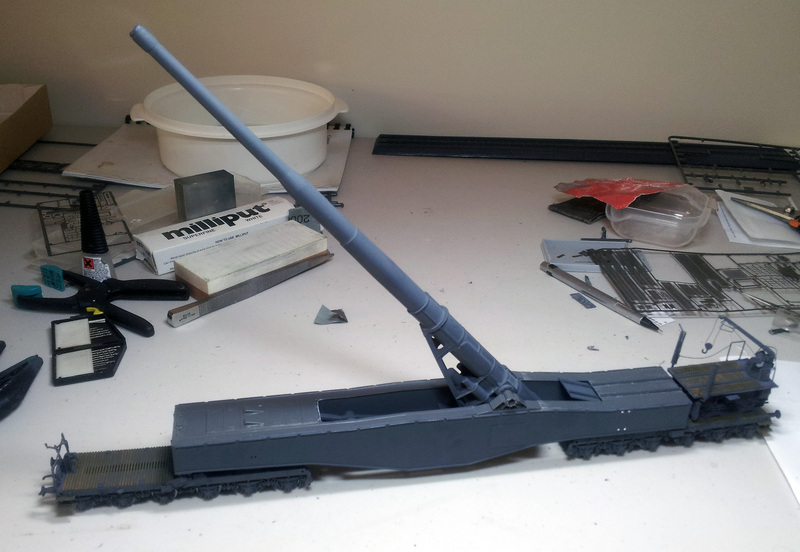 Well the gun has been mounted to the gondola and the hydraulics are working. Now it remains to do the detail work on the gondola itself. This entry was posted in Current Projects, K5 Eisenbahngeschütz - 1/72. Bookmark the permalink.